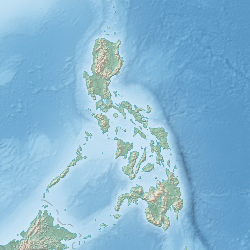 The sea connects to the Philippine Sea through the Surigao Strait, to the Camotes Sea both through the Canigao Channel and Cebu Strait, and to the Sulu Sea through the strait between Negros Island and Zamboanga Peninsula. ^ a b "Bohol Sea". Encyclopædia Britannica, Inc. Retrieved 29 August 2013. ^ Steve Baum (2011). "Mindanao Sea". www.eoearth.org. The Encyclopedia of Earth. Archived from the original on 4 March 2016. Retrieved 24 June 2014. ^ "The Return of Rorquals in the Bohol Sea" (PDF). Marinemammalscience.org. Retrieved 2016-12-19.